Goodbye Jimmy Wales, Hello Azu-nyan! Greasemonkey is a Firefox extension that allows users to install scripts that make on-the-fly changes to web pages. "Get Moe Wikipedia" puts this to hilarious use. Tired of receiving personal appeals from Wikipedia co-founder and promoter Jimmy "Jimbo" Wales when visiting the online encyclopedia? 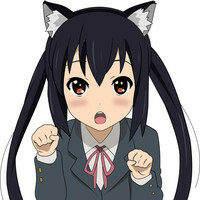 Well, now you get can your donation pleas from K-on's Azusa "Azu-nyan" Nakano. The script and be acquired and installed from here.